After a slow spot in the campaign, the Kickstarter recently had an influx of backers that pushed the project to 20%. That’s $1,000! And we’re only just getting started. 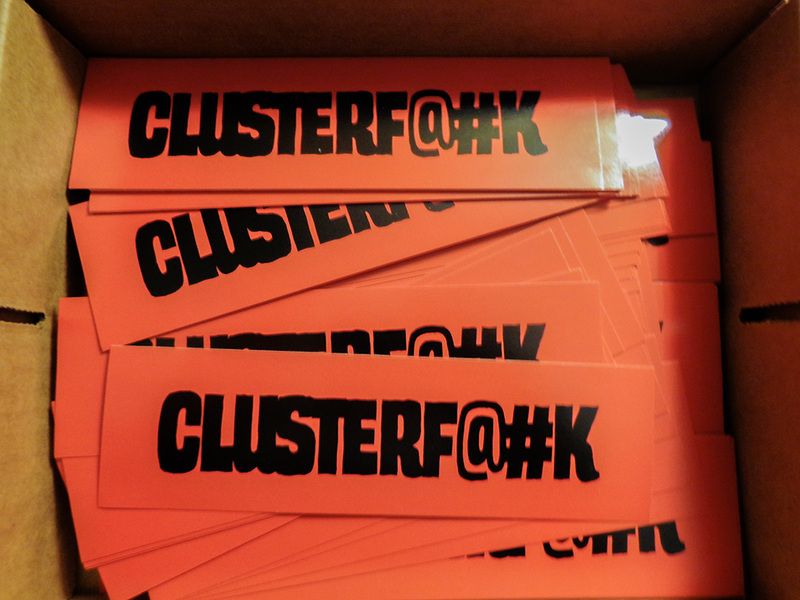 I recently added a smaller reward tier where you could get one of the Clusterf@#k Stickers I had made for Tri City Comic Com in WV earlier this year. They were an absolute hit, especially with former military. I’m also putting together some physical, non-book goals as well. Fridge magnets, bookmarks, perhaps some buttons with the characters on them. I’ve been brainstorming. But things are looking up. I’m excited because $1,000 is a huge hurdle to crack. 4 more to go.